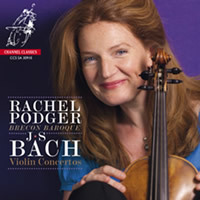 This is the second time that Rachel Podger has recorded two of Bach’s most popular works, the Violin Concertos in A minor BWV 1041 and E minor BWV1042. The earlier version on the Harmonia Mundi label with the Academy of Ancient Music, that I have not heard, was criticised by contributors to this site for its disappointing sound quality. There are certainly no such criticisms likely to be made about Podger’s latest recording, thanks to the outstandingly realistic sound achieved by Jared Sacks in the clean acoustic of St John the Evangelist Church, Upper Norwood London. In addition to the familiar concertos listed above we are also given two works more often performed as harpsichord concertos but here transcribed to produce two ‘new’ violin concertos. BWV 1056 may well have once existed as a violin concerto, and its slow movement is to be found in the Sinfonia to Bach’s Cantata BWV156 ‘Ich steh mit einem Fuss im Grabe’. The provenance of BWV1056 is rather more vague, and it has been suggested that it was once a concerto written for oboe d’amore. Be that as it may, both these delightful transcriptions are to be welcomed, particularly when given such joyful and spirited performances as here by Rachel Podger. 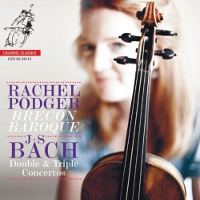 On this new recording she is joined by members of her own stellar period instrumental group, the Brecon Baroque that she founded in 2007. It comprises some of the most distinguished players in the world of period performances at the present time. It is important to point out that these are one-to a-part performances and though some may miss the greater sense of scale found in versions using a larger body of strings, the gain in clarity of each of the instrumental parts and the perception of the musicians’ cohesion more than compensates for mere numbers of players. 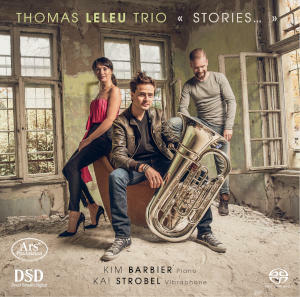 Podger’s playing in all four works on this disc is quite lovely with brisk but never hectic tempi in the outer movements and a wonderful sense of repose and faultless legato in the slow movements. 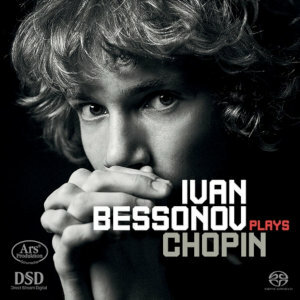 (Just try the slow movement of BWV 1056 track 8 to experience this). This SACD definitely deserves a top recommendation for both sound and performance.